Following is yet another clip from Gene Taylor’s town hall meeting which touches on the heart of why so many people on the Mississippi Gulf Coast feel as though they have been swindled by their insurer: The Anti Concurrent Clause. Pictured in this New York Times story from 2006 that explains the concept is Marilyn Haverty, a lady I’ve known since I was a child growing up in Waveland with her children back in the 70’s and 80’s. Miss Marilyn and people like her are the reason this blog exists. Q: So, you might not have realized how this was going to be interpreted when it was approved? A: Oh, I’m admitting that with just the volume of the number of type policies – and there are hundreds of them in the course of a year that comes through my rating division – there may be other things that are in policies that would have gotten approved by my department by accident.That’s just the volume of the business that they do. Let’s hope it’s a minimal number of things that were approved. I would submit that if this nation’s *longest serving insurance commissioner and his staff of lawyers had little clue to the meaning of this language then consumers had no chance of understanding the language. In fact most down here feel such language is a scam as the reason they bought the policy in the first place was to cover the one event insurers now claim it didn’t cover, a Hurricane. * – Mr. Dale was soundly beat in the party primary in August 2007 thus ending his term of service to the insurance industry. The insightful commentary on my Happy New Years post is the reason we are linking to Dr McFarland’s presentation at Gene Taylor’s Town hall meeting held last August in Bay St Louis. 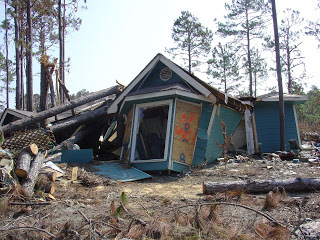 The anger from being reduced to living in a camper trailer while State Farm was opinion shopping their engineers has naturally lead to some very strong feelings among those made homeless by Katrina. It sometimes spills over into the commentary at places like the Yahoo Allstate Stock Board and the video clip below. I am more than content to let our readership gauge the depths of the anger down here both in the linked post by Coastal Cowboy and the following Youtube clip. Originally we were not going to link Dr McFarland and I am not doing so to bash the insurance industry people reading this blog. Rather it I hope it illustrates the very real frustration that has accompanied Katrina and it’s aftermath and perhaps even lead to a greater understanding of all of the perspectives among the antagonists on this issue. When I agreed to take on this project the possibility it may fail crossed my mind, after all, the sum total of our collective experience on blogger could fit in a thimble. Motivated by those who are actively working against the people on the coast getting a fair shake from their insurer we began undaunted by the long odds that we could actually interest a potential readership in this very complex issue. By that measure our first month online is a resounding success as we’ve attracted readers from 3 foreign countries as well as from across the US. We count people from diverse places like Washington DC, Lincoln Nebraska, and Bloomington Illinois to small towns like New Albany, Mississippi among our readership. We hope to continue educating all on our perspective, that of ordinary men and women here on the coast who struggle with the costs of insurance everyday and the related local fallout from insurance companies refusing to honor their contracts on the coast post Katrina. So we thank our readers, even those who may disagree with our viewpoint, for spending time with us this past month as we too hope the New Year brings resolution to more of the good folks of the Mississippi Gulf Coast. God Bless us all in 2008. Fourth District U.S. Rep. Gene Taylor says he will fight again in 2008 for a bill to add wind coverage to federal flood insurance for protection from another hurricane like Katrina. But, if so, he’s going to have to find an ally in the Senate. The House bill, which Taylor co-sponsored, with the support of House Speaker Nancy Pelosi, D-Calif., added wind coverage to the National Flood Insurance Program. But the wind coverage provision was not included in a bill the Senate Banking Committee approved, The Associated Press reported. Sen. David Vitter, R-La., has blocked a vote by the full Senate because optional wind coverage and higher coverage limits were not included. The Senate bill was sponsored by Banking Committee Chairman Chris Dodd, D-Conn., and Richard Shelby, R-Ala. Taylor said he can understand Dodd’s objections because of the insurance interests headquartered in his state. “Shelby is the one I keep scratching my head over,” he said, because of his constituents in coastal Alabama. Republican Mississippi Sen. Thad Cochran supports the multiple-perils bill. He should lobby his colleagues for it. Democratic Sen. Hillary Rodham Clinton had introduced a similar bill in the Senate. Pelosi helped push Taylor’s “multi-peril” Flood Insurance Reform and Modernization Act of 2007 through the Financial Services Committee in July, and it went to the Senate with full House backing as HR3121. It would allow flood insurance policyholders to purchase wind insurance or as a stand-alone policy, and increases limits. Catastrophic insurance for hurricanes remains a need for U.S. coastal areas nationwide, so it could – and should – be resurrected. Mississippi is not alone in facing higher insurance premiums, if it’s available. As has been noted in www.clarionledger.com/forums under “Katrina-related issues,” home insurance rates are skyrocketing in all the nation’s coastal areas. 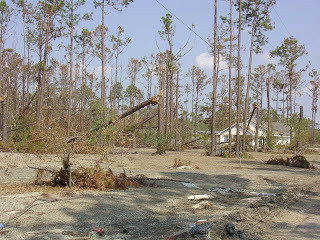 The experience with Katrina on the Coast, still waiting for insurance and government promised relief, is evidence for HR3121. HR3121 should not be allowed to die. The very life of the Coast could be at stake. 1. Unfair and predatory claims handling as demonstrated by the unrefuted fact patterns in cases like McIntosh v. State Farm where State Farm threatened to fire their own engineers who found wind damage as the primary cause of the loss rather than flooding. State Farm actually ordered additional engineering reports until they received the “answer” they requested in such cases. 2. A lack of transparency in insurance product pricing, especially in the area of reinsurance. While we will tackle both issues its worth noting the first has already received a fair amount of press attention while the second has not been addressed in detail except at a few web sites like this one. I suspect the reason the economic concept of market transparency has received such little attention is because it is complicated to explain and understand. I endeavor with this entry to start our readership along the path to understanding these important yet basic economic principles. 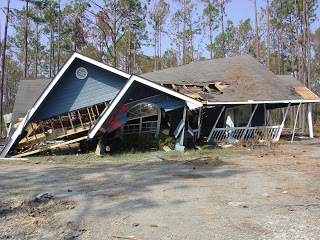 First we need to start with the decision to purchase a multi-peril homeowner’s policy and examine the criteria consumers use when selecting an insurer. Think about it, how did you choose your insurance agent and insurer? Did you let your fingers do the walking or perhaps you received a referral from a friend of the agent? Or maybe we thought the ad we saw during the football game was good and we feel safe knowing the local agent in the spot showed up when the house burned down. Maybe as a first time homebuyer you got a good tip from your mortgage broker on who to use. Another good question is why did you buy the policy? Because it was it required by the bank or mortgage company? What about the policy limits, were they set to only cover paying off the mortgage because it was cheaper than insuring the total value? How many times since you first purchased the policy have you evaluated the risks you are paying to insure? These are all very important questions. My professional experience preparing post Katrina income tax returns with casualty loss is that most people literally are asleep at the wheel when it comes to assessing the risks that may impact them in the future. In fact I submit it is basic human nature to avoid thinking about such unpleasant possible future events. The end result of burying ones head in the sand is invariably bad for the consumer once disaster strikes. Post disaster hindsight reveals the complete inadequacy of the original criteria we used to select an insurer. For instance, the fact your local State Farm agent is a good guy (mine is for certain) is meaningless when the “good neighbor” refuses to pay for an insured risk. And all the accumulated advertising we’ve seen never prepared us for the very real possibility the good neighbor will force many of it’s customers to use the court system to collect on the policy as a matter of internal claims handling policy. Had we used good criteria originally to purchase insurance, we would have considered variables such as recent claims handing histories of these companies in our purchase decision. I’ve had people I know off the coast tell me they are not worried about State Farm covering windstorm risks because they are “too high to flood”. Human nature then takes over for a time, refusing to believe that State Farm refused to cover obvious wind damage in Oklahoma City after an F5 tornado struck there in May 1999 or that a jury there found, “that State Farm “recklessly disregarded” its duty to deal fairly with policyholders, doing so “intentionally and with malice” through the use of biased expert opinions after the 1999 tornado.” Perhaps we decide to switch to another insurer such as Allstate only to find out their internal documents describe treating a claimant/customer with “Boxing Gloves” instead of “good hands” and their record in customer treatment in automobile insurance claims appears abysmal. In fact we find out that according to the AM Best, “In the decade after Allstate instituted the McKinsey program in 1995, the amount of money it paid out per premium dollar in car accident cases declined from about 63 cents to 47 cents”. Most importantly we find out the lack of good information the consumer has to evaluate insurers is stunning. In future posts we will further examine the concepts of Asymmetric information and how it translates into premium pricing, especially in reinsurance. Here is a well reasoned opinion on the impact of the current legal mess and it’s impact on coast residents seeking justice. For Mississippi Hurricane Katrina victims, hope for recovery from the storm took a sickening turn with the charges lodged against attorney Dickie Scruggs. State Farm Fire and Casualty Co. is seeking to have attorneys with Scruggs’ “Katrina Litigation Group” representing policyholders thrown off a key case because the insurer claims the lawyers have behaved unethically. Scruggs withdrew from most of his firm’s Katrina cases after his indictment on charges he tried to bribe a judge for a favorable ruling in a dispute over legal fees. The newly formed group, which includes members of Scruggs’ legal team, is now handling hundreds of cases on behalf of Coast policyholders in “wind vs. water” disputes, alleging the insurer failed to honor claims. Scruggs’ indictment has muddied the water for policyholders. The more cases are delayed, the longer the recovery can take – if homeowners don’t just give up or move away. About 14,902 families still are in temporary housing units in Mississippi. In clarionledger.com’s Forums, under Katrina-related issues, Mississippi Insurance Forum, readers commiserate. Says one: “‘Ain’t life grand?’ For some people, maybe, but nothing’s grand for the people on the Coast that were ‘slabbed’ by Katrina, ‘stabbed’ by their ‘good neighbor,’ and forced to live out a horror story that even Hitchcock would find frightening. Last week I posted a couple of different links to stories on the use of weather modeling in setting insurance rates. I shared some questions that are stuck in my mind on the reliability of the long range forecast. Given the magnitude of coastal insurance rate increases since Katrina struck, the issue of whether consumers of insurance are being treated fairly on price and the use of weather modeling to justify drastic price increases was addressed last week as well in the Boston Globe. “HOME INSURANCE rates are skyrocketing on Cape Cod, the islands, and in other coastal areas. Driving the increases are concerns by insurers that a major hurricane could wreak the kind of devastation that hurricanes have brought to other parts of the country. Some companies have simply stopped insuring in shore areas, forcing homeowners into the state’s FAIR Plan, the insurer of last resort. But Massachusetts need not simply accept this price spiral, because the state has options for making insurance more affordable. One is for state officials to take a closer look at the models of hurricane devastation that insurers use to justify their higher rates.